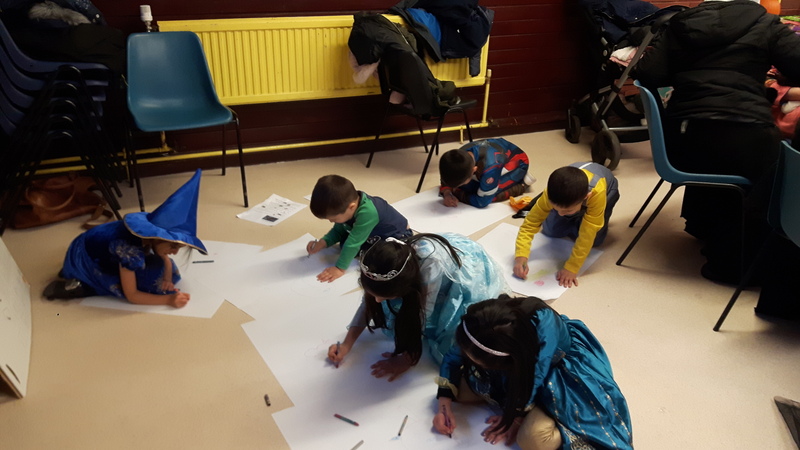 Lots of fun was had at GCDT Family learning party, held by Esol/family learning tutor Loraine McHendry with support from Noreen Campbell at Glasgow Life. 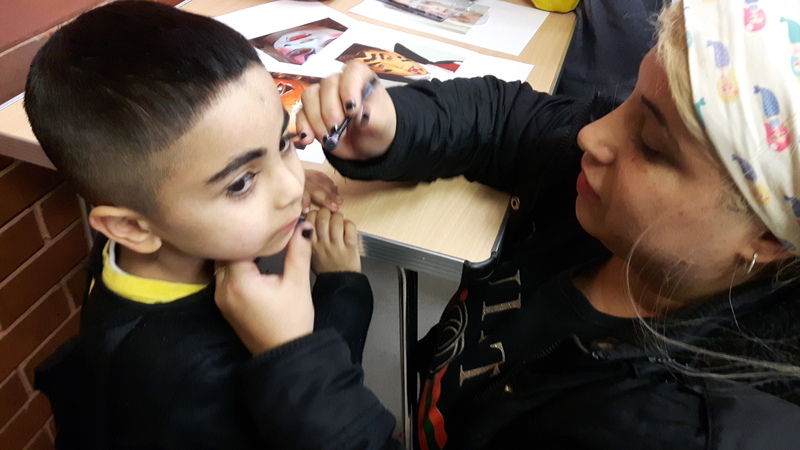 The was held at Daisy Street neighbourhood centre on Monday 29th October, and over 20 children dressed in Halloween costumes took part in the festivities. Children Working hard to create their own scary monsters! There was a Spooky interactive story, after which the children created their own scary monster! Parents took part in a face painting workshop and the children in game of bobbin apples. The event finished with a huge treasure hunt for sweets and treats around the neighbourhood centre garden. The party was just part of our wider community events program, which is in place all year round.